Konami’s Castlevania series is making a glorious comeback next month with Castlevania Requiem Symphony of the Night & Rondo of Blood, a collection including two of the best entries in the series. 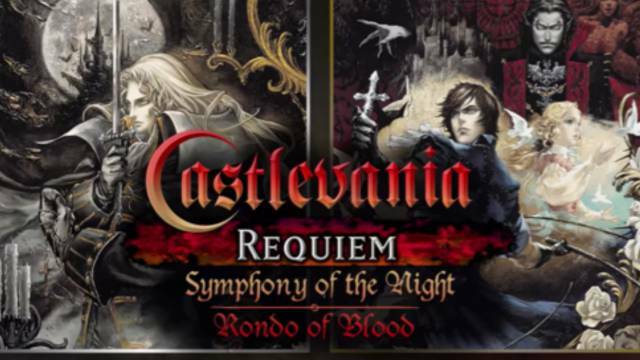 Castlevania Requiem Symphony of the Night & Rondo of Blood will include enhanced versions of Castlevania Symphony of the Night and Rondo of Blood. Both games are the originals emulated for PlayStation 4, with several updates such as 4K/1080p resolution upscaling, full Trophy support and more. Both games are the originals emulated for the PlayStation 4, with several updates that take advantage of the new hardware. This includes 4K/1080p upscaling, multiple high-resolution backgrounds, different rendering options such as smoothing and full Trophy support. Word of warning though, that Platinum will be tough to get. Elsewhere, Requiem will make use of the DualShock 4’s vibration, analogue stick and speaker, with the latter meaning you’ll hear a cool little chime when you pick up an item. The PlayStation Blog also provided today an overview of the two games. Castlevania Requiem Symphony of the Night & Rondo of Blood launch on PlayStation 4 on October 26th.